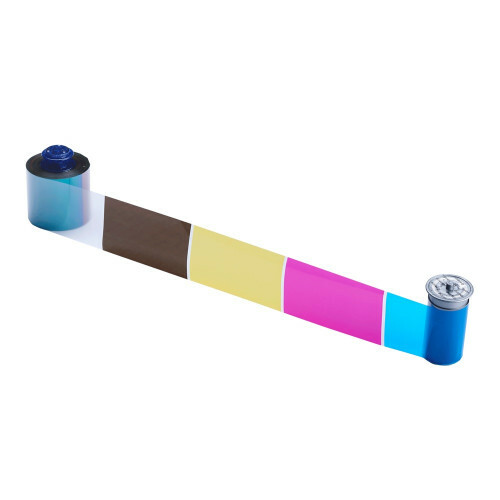 The FCMYP-KP UV ribbon has the following panels; UV (F), Cyan (C), Magenta (M), Yellow (Y), Primer (P), Black resin (K) and Primer (P) panels. The colour panels create detailed and bright images including photos. The black resin panel is ideal for fine print personalisation including barcodes to the rear of the card. The primer panels ensure that printed images adhere to all different card types. The UV panel creates images and text that are only visible under UV light. This ribbon is for double sided printing.